Beautiful outline vector drawings of plants and flowers. 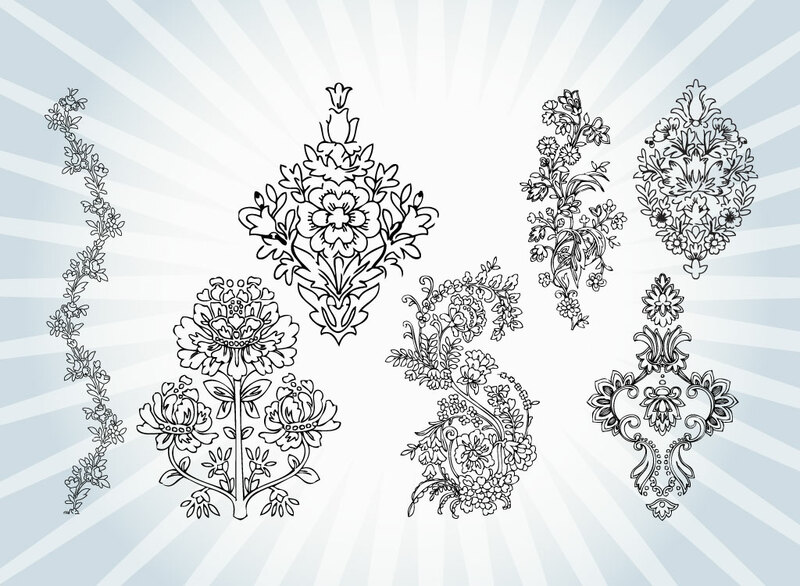 Vector ornaments set made up of natural shapes and floral decorations. Seven different designs in black outline style set on a white and blue star burst background image. Traditional nature based graphics that are commonly used in tile patterns, ornate frames and interior design textiles. Tags: Decorative, Drawing, Elegant, Floral, Flowers, Line Art, Outline, Subtle.